8 reasons you CAN'T miss Ale House Oktoberfest!! The Ale House Oktoberfest is one of the hottest event in 2013 ! We will celebrate Oktoberfest with German food specials, German beers and exciting events throughout our Fest. 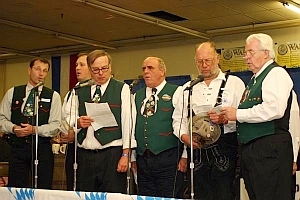 We’ll present live German beer-drinking and dancing music to compliment the great traditional Bavarian foods and beers. There will be a Kinderplatz area. This is a family friendly event. The Ale House Oktoberfest is the top Cultural festival in all of Richmond ! Don’t miss out on all the rave!! This great event has the potential of being the top festival in VA ! There are currently no vending opportunities available at this time. 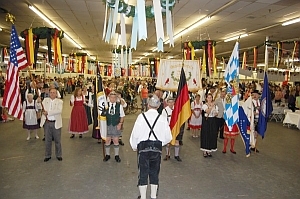 The Annual Richmond Oktoberfest is the largest German / American Oktoberfest festival in the state of Virginia, playing host to nearly 5,000 people over the two day indoor event. 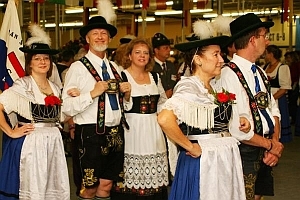 This event is a sample of German Bavarian culture at its best. It’s for the whole family to enjoy. Don’t have a babysitter? Don’t worry. Children up to a certain age are admitted for free (visit the Facts page for specific age requirements). The Chicken dance is and always has been a favorite of the kids (young and old).